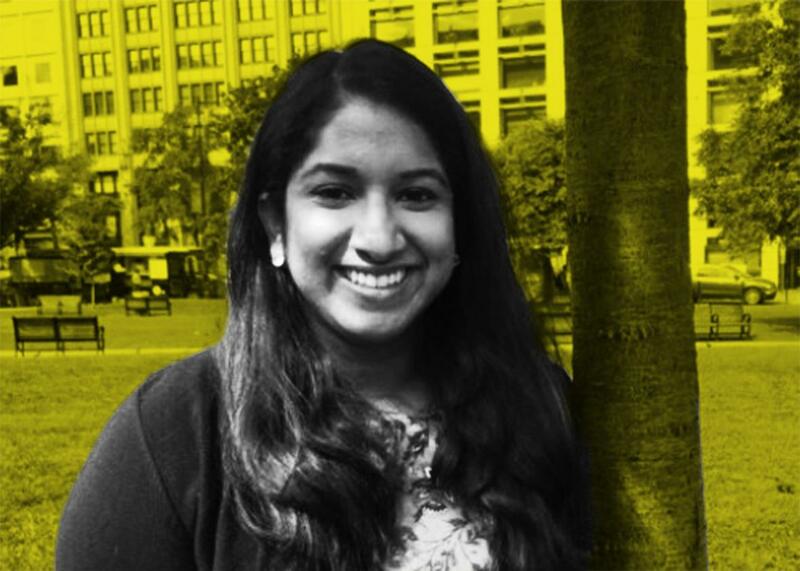 How does immigration lawyer Nithya Nathan-Pineau work? Nithya Nathan-Pineau talks about her work representing unaccompanied children. This season on Working, we’re speaking to individuals employed in fields potentially imperiled by Donald Trump’s presidency. These are the stories of people doing difficult but important jobs—jobs that may get much more difficult and much more important in the years ahead. “My parents chose this country as their home, so I think about why they do that,” Nithya Nathan-Pineau says in this episode of Working. That speculation isn’t just personal for her, though—it’s also professionally resonant. Today, Nathan-Pineau serves as director of the Detained Children’s Program for the Capital Area Immigrants’ Rights Coalition, a nonprofit that provides legal services and other resources for those facing deportation. In that capacity, she and her colleagues work with hundreds of unaccompanied minors in the custody of the Office of Refugee Resettlement. That name, as Nathan-Pineau puts it, is “kind of a misnomer” since the “vast majority” are already in deportation proceedings by the time CAIR connects with them. “Most of the kids we meet with have been apprehended in the last week,” Nathan-Pineau explains. “They have been transported across the country. They have no idea where they are.” CAIR aspires to bring those young people up to speed, helping them understand what’s going on and what their options might be. It also aims to match kids with pro bono lawyers in the area, who Nathan-Pineau mentors on the ins and outs of immigration law. Nathan-Pineau, for her own right, also has a small caseload of her own, which is important in part because CAIR has more young people in need of representation than it does volunteers. In the lead up to a hearing, she and her co-workers will often interview their clients over a period of months, trying to put together a narrative that lets them show a judge the “whole person” and not just a series of line items on an application. The election of Trump—whose inflammatory rhetoric about immigration powered his campaign—has only amplified the urgency of Nathan-Pineau’s efforts. “We’re experiencing a lot of fear. And our clients are experiencing a lot of fear, because there’s so much uncertainty about what’s to come,” she says, explaining that in the days immediately after the election, kids were already asking questions about it, worried that they’d lose their ability to pursue their own cases. In a Slate Plus extra, Nathan-Pineau talks about CAIR Coalition’s relationship with the Office of Refugee Resettlement and describes the condition in its facilities. If you’re a member, enjoy bonus segments and interview transcripts from Working, plus other great podcast exclusives. Start your two-week free trial at slate.com/workingplus.